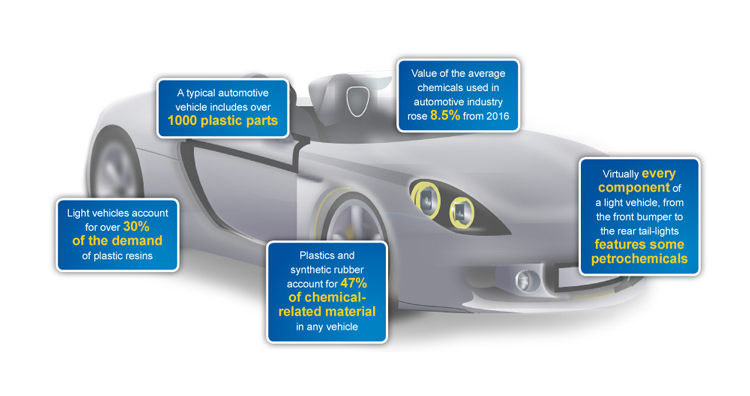 Virtually every component in a light vehicle features petrochemicals. With global petrochemicals markets facing unprecedented levels of disruption, having the right tools and insight to navigate these obstacles and spot opportunities has never been more critical. Spend less time filtering through information and gain a 360 degree view of the market by using interactive, customisable tools that look below the surface and show the true impact of change as it happens. ICIS provides all the petrochemicals market data that you will need to negotiate and make confident decisions along the automotive supply chain. Avoid disruption: Live Supply Disruption Tracker keeps you informed and helps avoid unexpected production problems along the supply chain. Monitor supply/demand imbalances over the long run that can push up prices of your key markets. ICIS Supply and Demand Database enables you to gain a mid- to long-term view of key automotive chemical markets. ICIS Price Forecast Reports support your short to medium term decision by providing a concise monthly outlook of prices, margins, capacity, supply and demand for the next 12 months – all in a single report.